Fair play to Mourinho, I liked his ‘truth’ interview about injuries. I’m sorry to anybody who wants me to continue ‘demonising’ him, but I thought it was a good response, and I like the way he went through several of his players. Funnily enough, that attention to detail is something that connected some of the Great Songwriters I’ve been watching recently (High Flying Birds’ Gallagher and Stereophonics’ Jones) in the Channel 4 programme, and something I think I achieved in XaW Files: Beyond Humanity, after building up to it with Werewolf of Oz: Fantasy Travel by Google Maps; thinking that’s what had set the great rock musicians apart, and Axl Rose’s epics in particular. That’s what I don’t like about Marklemania, especially the putting her above Ivanka Trump, as I read in an article this morning, saying Ivanka must want to be Meghan. I find Markle pretty average looking, and while she has some good attributes, she’s put being a princess before her work (after posing outside Buckingham Palace a few years ago), when Cressida Bonas did the opposite; the latter decision seems a better example for women from the feminist viewpoint of which Markle is supposed to be such a champion. The Blue Mountains are a great day-trip from Sydney, 50 kilometres (31 miles) west, with colourful parrots easily seen in lush greenery, a waterfall and the Three Sisters mountains: reminiscent of the greenYgrey world’s Three Princesses: Kate, Cressida and Lottie; still under Queen Kate Moss. For those who think I drink golden ales because of blonde women, well, lager is amber blonde anyway, so I could just drink that, as I like it too, if it was colour-defined! Australian Sunset Photos for POPolutionaries: Has Amber Heard? I saw several stories I thought I should comment on, but then remembered I’m in the POP age now, so I should just ignore the chatter, even if Reggie Yates (will Chuku Umunna call him vile like he does Donald Trump?) and Lily Allen stories showed why I was right to criticise Russell Brand’s revolutionaries. I also watched The Riot Club recently, which I think showed the kind of revolutionary riot culture Brand stands for, and where most of his supporters come from; a kind of Marquis de Sade – Aleister Crowley do what thou wilt (rich and/or manipulative men) ethos. If women like that then fine, but from the post-Weinstein scandal fall-out it doesn’t seem to be for most of them, although they think they have no choice at the time. I did once joke that my L.A. metal name would be Marcy de Sad (inspired by names from bands like Guns N’ Roses, Faster Pussycat and Love/Hate), combining my name, wordplaying on Sade and incorporating my bipolarity; and I think humans should be as free as possible to do what they want, like Crowley, but without harming anything else. In total contrast, I thought I should ask you to let Amber Heard know about this blog post, with parody comedy based on real amour (thinking Pepe Le Puy! ), using the parodying Twitter viralism hashtag #hah (has amber heard), as she’s apparently in Oz now, but then thought she should know by now (Hank Melvin’s song, written by Kenny Gamble and Leon Huff, comes to mind; by the way, I added that Jagger was particularly greenYgreying and that ‘summer’ should be changed to ‘winter’ in yesterday’s blog post; not that I prefer winter to summer, quite the opposite in fact, and for negative-greenYgrey conspiracy theorists, Jagger is still going strong, while the Starman has unfortunately passed away, albeit at the grand old age of 70; If you don’t know me by now), and must think I’m not worthy of romance. I was thinking fondly of Cressida Bonas last week too, but guess she doesn’t think of me as a true blue! Those types of women have always been my favourites, with early versions Debbie Harry, Brigitte Bardot and Britt Eklund. I liked ABBA’s Agnetha when I was 10 because of her face and hair, not the apparently large bum she’s got; that I hadn’t even noticed until watching recent documentaries about her. To celebrate the first five episodes so far shown of seven, with therefore two to go, in the Blue Planet second series, here’s five more photos from my dive course on the Australian Barrier Reef in 1989. I’m in the first photo, as I just noticed from my tattoo, but not the others. I loved the garibaldi fish trying to keep its locality fertile in the last episode, like a human environmentalist or farmer; and the clever octopus, knowing how to defend itself against a lovely looking pyjama shark, using knowledge of shark biology and complex camouflage. A group of us who travelled up from working in Sydney rented the underwater camera. As well as the stingray I and my dive partner also saw a giant turtle, but didn’t have the camera then. 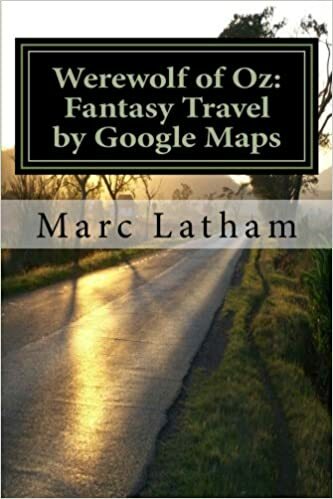 I would of course return to Oz to write Werewolf of Oz: Fantasy Travel by Google Maps. The latest episode of Australian Wilderness with Ray Mears was in the Walpole Forest, a beautiful big nature reserve, where WoO started; and starred a cute quokka. Meanwhile, back in Blighty, tonight’s Countryfile focuses on the Cleveland Way mostly coastal path. The walking route I’ve walked the most on in the U.K., with the coastal path my favourite part, although Helmsley to the North Yorkshire Moors was very nice too; the Moors are interesting and an important nature reserve. I’ve only skied one day in my life, and that was in Australia. I don’t think I even knew there was skiing in Australia until I went there, and maybe not even until the weekend was suggested. I’d flown into Darwin, and travelled east to Townsville before heading down to Sydney, but the Snowy Mountains was the farthest south I went. It was suggested by others on the trip, as most of the domestic ones I went on in and after university were. But all my creative writing is mine: I revisited the area just over twenty years later through fantasy rambling by mostly Google Maps and Wikipedia; along with memories of my travels in Werewolf of Oz. 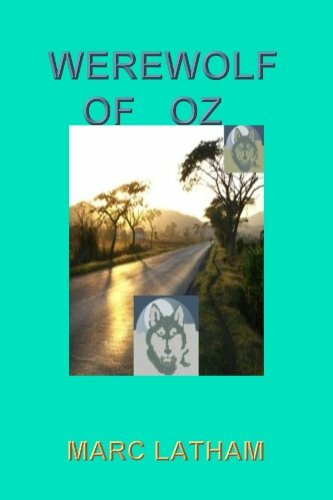 In 1989 we stayed in Jindabyne, while the Werewolf of Oz highlights included characters from the Perishers cartoon strip in the Perisher Valley, berry poetry in Berridale and a pigeon cooing story from Western Australia re-emerging in Cooma, linking back to the start of the rambling storyline. This has turned into a ‘cascade of thought’ blog post, relating to Chris Packham (honourable inspiration for greenYgrey world nature correspondent Chris Packwolf)’s description of his thought process in his Asperger’s documentary; celebrating words of female independence, when wanted, I’ve been promoting during my creative writing career over the last twelve years. Ironically, long after I thought of Black Sabbath’s Children of the Sea having MISTy lyrics, looking up Tyr I saw that Black Sabbath had an album called that, and that it was loosely a Norse mythology concept album, which I remember now. It was after the Dio age, which followed the classic Ozzy era, and wasn’t very successful. Talking of my demographic, and Ozzy, I remembered reading Ozzy’s last words at the end of the Black Sabbath’s last concert to his bandmates were something like ‘Now F**k Off!’ That’s the kind of self-parody humour the upper classes don’t seem to get, always trying to be ‘nice’, and trying to ban through Multicultural Fascism one-way political correctness. I hope she likes these words and the quite clever, in a self-proclaimed genius self-parody kind of way, wordplay with her surname and the gist of her interview, Amber ‘Must Be’ Heard blog post title. Like Taylor Swift’s portrayal of her mind in the Look What You Made Me Do song, Wikipedia says Heard is an atheist inspired by the books of Ayn Rand: ‘obsessed with her ideals. All I’ve ever needed is myself”. I’ve also tried to be honest with this blog and the greenygrey; and true to my ‘art’, such as writing this blog completely, rather than commercially, without adverts or cost; trying to write the truth as I see it, rather than catering to the trendy, either on the right or left extremes, even though I think one of them would provide more sales and popularity, as at the moment I seem unpopular with both in an increasingly bipolar western world! For example, I found out that Tyr is being used by Scandinavian nationalist movements just now on Wikipedia, and while I agree with their efforts to control mass immigration, I still included a good review of John Fashanu in Gone To Pot, because that’s what I thought. I also liked the counterculture style communities they visited in GTP, but I also like northern Europe being a home for its native people, as I do for other natives and their continents and lands. I didn’t agree with colonisation, and I don’t agree with the colonisation of Europe. In the last blog post I mentioned the book and movie Oranges and Sunshine, which told the story of the Home Children sent from Britain to elsewhere in the Commonwealth, where many had to endure tough slave labour work, as well as abuse. The same kind of poor white children and sexual abuse suffered in Britain from a new wave of monotheism in the last thirty years… as well as elsewhere in Europe. I write this because I think it’s relevant, and I couldn’t in university, where important topics like this were considered politically incorrect, and irrelevant topics such as what colour a kiwi is are encouraged, as argued by a recent subject of New Lives in the Wild. Ironically, with a little self-parody, whether a kiwi is green or yellow is relevant to the greenYgrey world colours, with only grey left out. My sunrise/sunset research declaring the colours predominantly PinkyOrangePurple (POP) rather than red could be another PhD for me, although I’ve probably only done test research so far, and would need to do much more sampling to confirm it. Often it was at the hands of monotheistic religious institutions such as convents. Animals also suffered much more than under the indigenous pagans, who respected the Earth and animals more, as Native Americans, Native Africans, Native British and Native Europeans did. Some animals went extinct, such as the Tasmanian Tiger. I don’t know the situation now, and hope the abuse has ended, as the Homes Children project has, and Australia is protecting its wildlife, although I did see a documentary that said many species were losing their habitat due to expanding human communities. It is still a beautiful country though, with lots of wildlife and nature to see. I had a nice year in Australia in 1989, altogether, but there were some tough times, such as not finding much work in my first few months in Sydney, and malaria (vivax) emerging after I’d stopped taking the tablets after leaving Asia. I also did a dive course on the Barrier Reef in Queensland after finishing work in Sydney, and travelling up with a couple of car loads of friends, most of whom did the dive course. I was reminded of Australia recently when I saw Ray Mears was visiting Nitmiluk, which was somewhere Grey visited on its epic solo fantasy fiction trek by Google Maps told in Werewolf of Oz, and other episodes also followed Grey’s trek, such as Kakadu and Kangaroo Island. Marc Latham books available on Amazon.